I have been playing around with building the TTN-Gateway firmware code. I know that the TTN Packet Forwarder development is now on hold but I wonder could someone explain to me the difference in function between the two. Does the TTN-Gateway code essentially contain a packet forwarder? Is it the same as the TTN Packet Forwarder? Am I misunderstanding what a packet forwarder is? Does the TTN-Gateway code essentially contain a packet forwarder? Is it the same as the TTN Packet Forwarder? No. The TTN Packet Forwarder was written in Go for Linux based embedded systems. 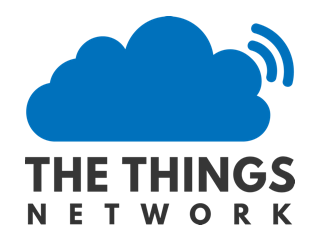 The TTN Gateway firmware is written in C for The Things Gateway which is an embedded system without operating system. The Gateway firmware implements a device specific packet forwarder. One final question. I have downloaded the code from the TTN-Gateway github repo and have tried programming the device using MPLAB IPE with a HEX file created by building in MPLAB IDE. This, however, has failed - i.e. the device is unresponsive. Is this because the HEX file does not include the bootloader alongside the firmware? And if so, is the only way of programming the TTN-Gateway with a customised firmware to use the micro SD method as described here? That was the issue - i.e. the bootloader was not included with the firmware. I ran the firmware/merge_bootloader.sh and this created a combined HEX file, which I could then program the board with using MPLAB IPE.